Encapsulating in luxurious detail the phenomenon of consumer society - obsessed with image, fashion and instant gratification - Ladies' Delight vividly depicts the workings of a new commercial entity, the department store. The novel centres around the story of Denise, a young shopgirl from the provinces, and Octave Mouret, the dashing young director of a shopping emporium, who find themselves torn between the conflicting forces of love, loyalty and ambition. 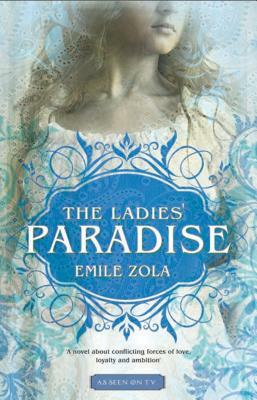 Set in the heart of the city, Zola's novel – the eleventh in his Rougon-Macquart series – evokes the giddy pace of Paris's transition into a modern city and the changes in sexual attitudes and class relations taking place during the second half of the nineteenth century. Émile Zola (1840-1902) is the foremost representative of the Naturalist school, and is best remembered for Thérèse Raquin and his twenty-novel cycle, The Rougon Macquarts.